PriveCall 2.0 is end-to-end encrypted speech encryption accessory for all commonly used smart phones, with upgraded features of 4,6″ touch screen and end-to-end encrypted messaging. 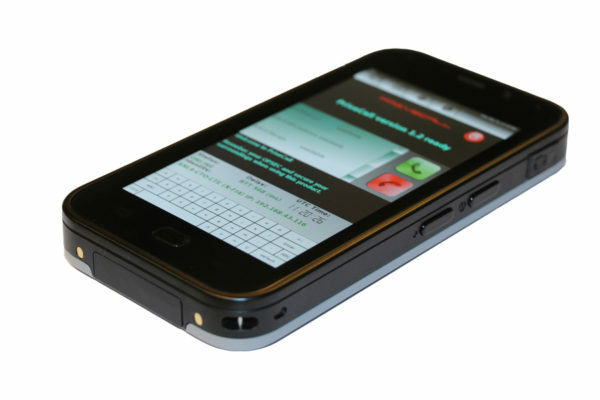 Suitable for any organisation or team handling mission or business critical classified information. PriveCall™ 2.0 calls and messages are impossible to eavesdrop on any 3rd party cyber actor, governmental or private – and yes, we really do mean this! 3. Make and receive secure calls and conference calls world wide – on privacy between PriveCall™ secured lines. 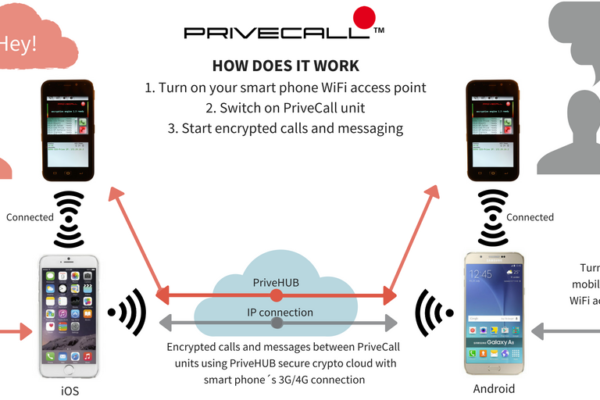 Activate your mobile phone WiFi hotspot connection and make secure calls with PriveCall™ world wide. No additional phone bills. Privecall™ 2.0 is build with the hardened Linux operating system. Encryption libraries and the speech encryption solution are provided only in 100% verifiable source code. End-to-end encrypted speech is secured with AES256 and Diffie-Hellman key exchange, which makes cracking the encryption impossible. Our solution is 100% transparent. PriveCall™ is designed and manufactured in Finland by XXLSec Ltd. US professional patent pending. How PriveCall™ really works see in the next video.